LIMERICK are ready to entertain you this Sunday! 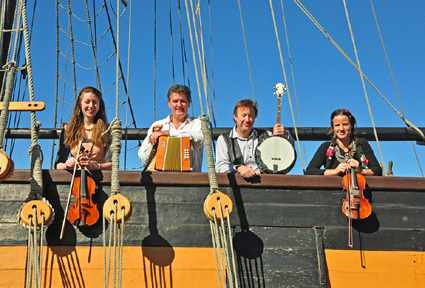 Join four musicians and umpteen instruments for a fantastic repertoire of folk tunes, ranging from lively medleys and familiar session tunes, to nostalgic ballads from the Bush and beyond. This spirited Albany band celebrates every-day life through music and un-earths extraordinary tales close to home. Enjoy the sounds of Banjo, Squeeze Box, Fiddles, Guitar, Mandolin and more, with a live performance from LIMERICK. If you would like to more information on LIMERICK’s music visit their Facebook page – www.facebook.com/LimerickBandAlbanyWA.